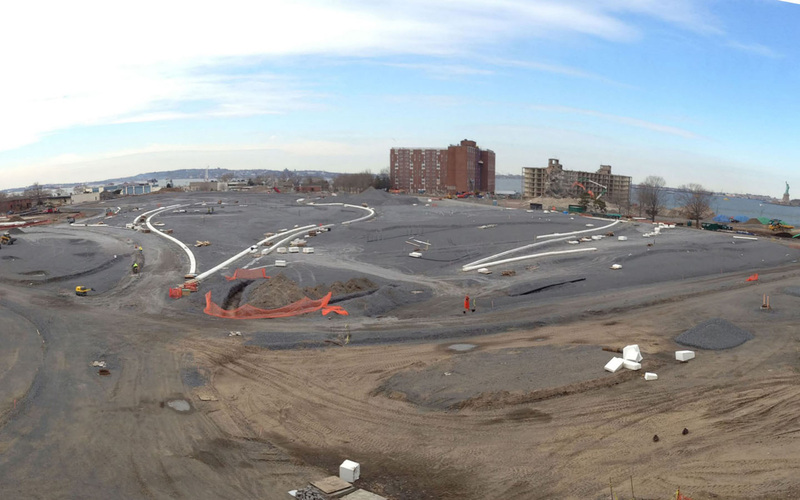 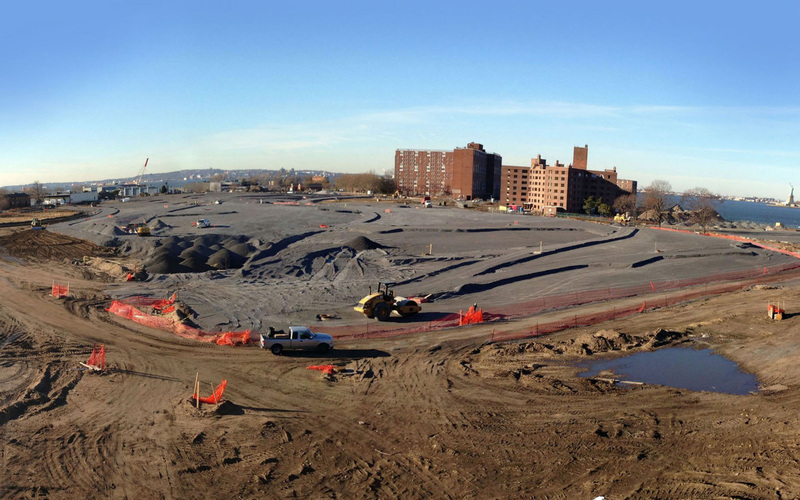 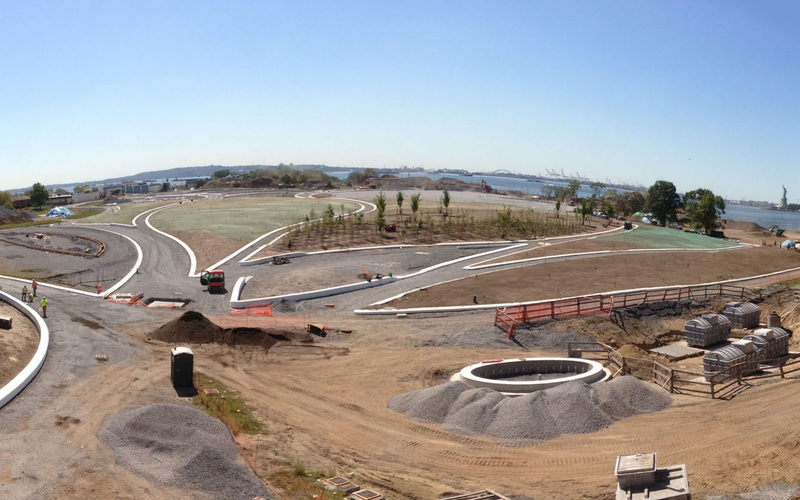 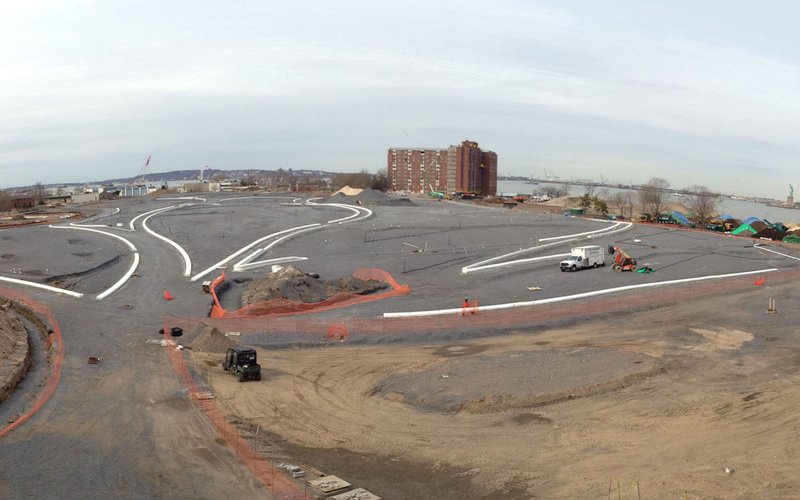 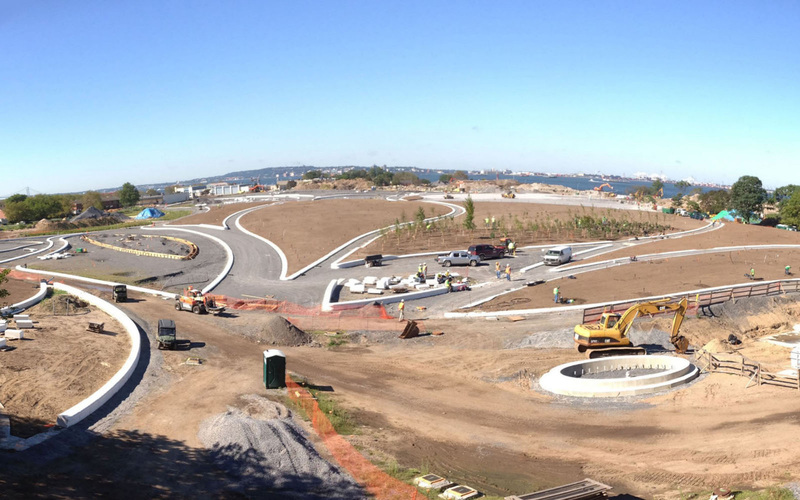 Governors Island Park is becoming New York’s newest world class park. 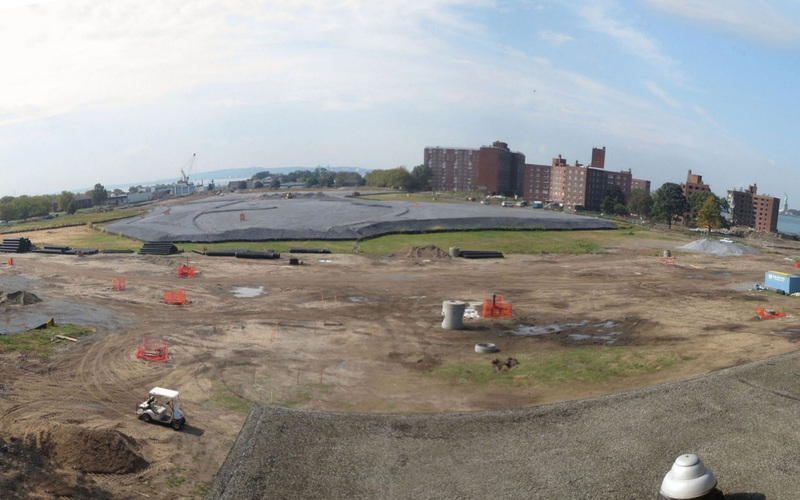 The 87-acre waterfront site features park amenities spanning the lower half of the island, soon to include a 2.2 mile Great Promenade path around the island’s perimeter and the rejuvenation of existing historic landscapes. 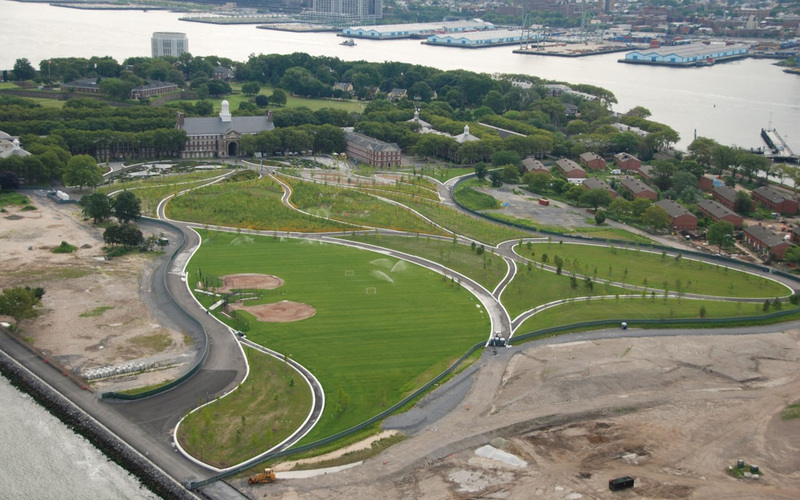 Governors Island Park provides multipurpose open spaces with play and lawn based programs, 2 ballfields, bicycle paths, as well as historic and residential areas with public art and parks and future water and boat access. 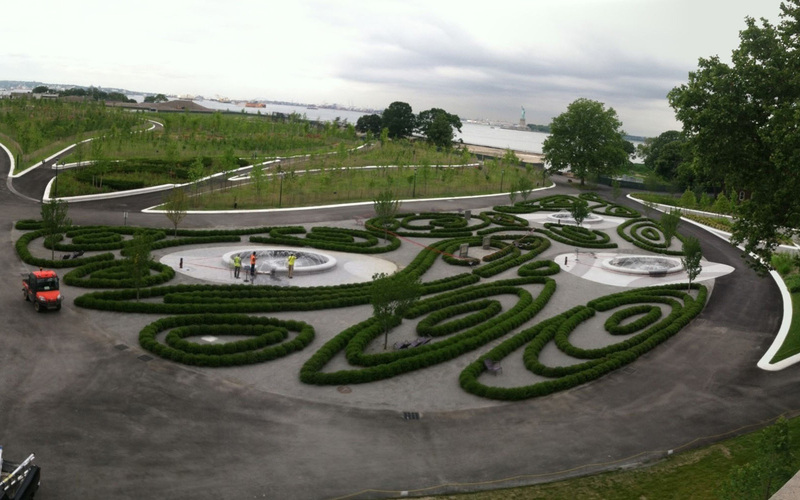 SiteWorks provided design constructability reviews and resident landscape architecture services for all phases of the Park. 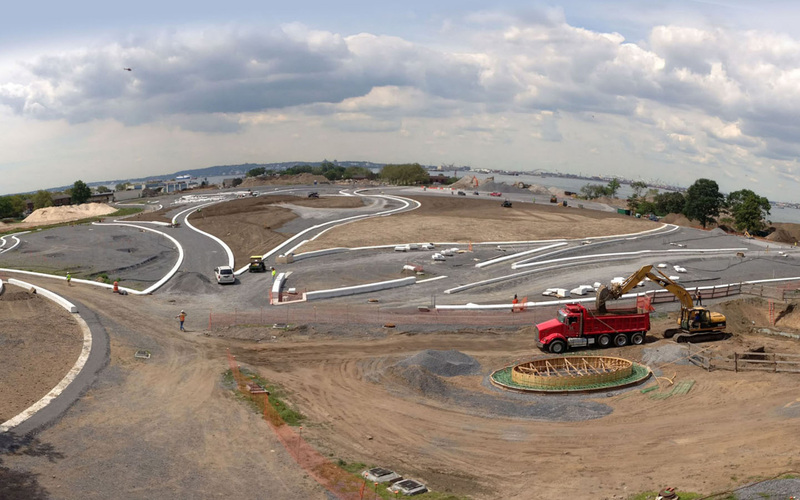 During the Design Phases, SiteWorks provided in-depth reviews of the construction documents from both professional standards and constructability perspectives which aided in a more complete and coordinated set of documents. 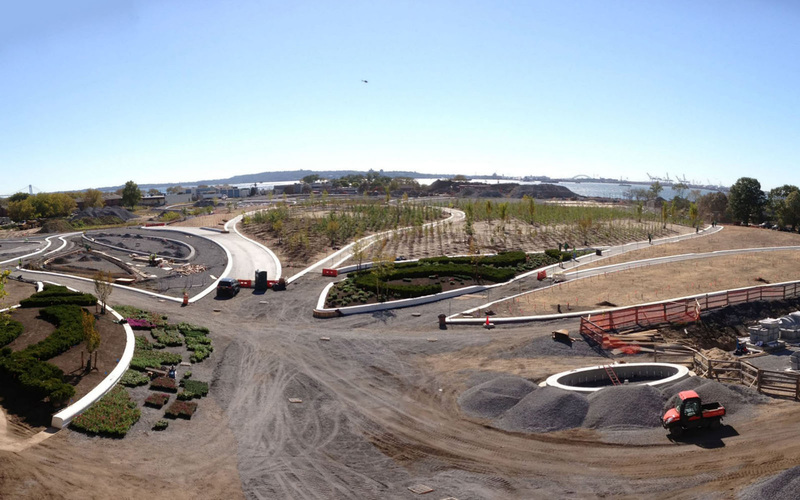 In addition, we provided expertise in diverse and sustainable planting initiatives and manufactured soil specifications. 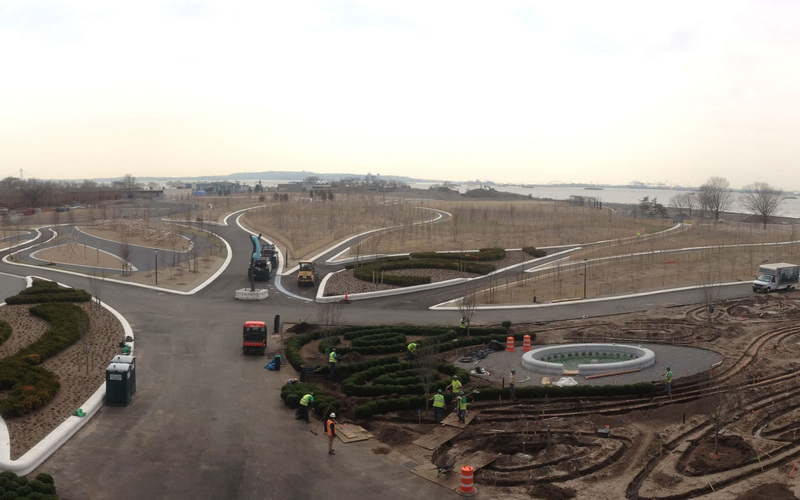 As the site construction expert on the team we oversaw soil blending and installation; hardscape detailing and fabrication of more than 4 miles of pre-cast curbing and seat walls; plant procurement and installation including an on-site nursery necessary to summer the bare root plants which created the afforestation of the Hammock Grove. 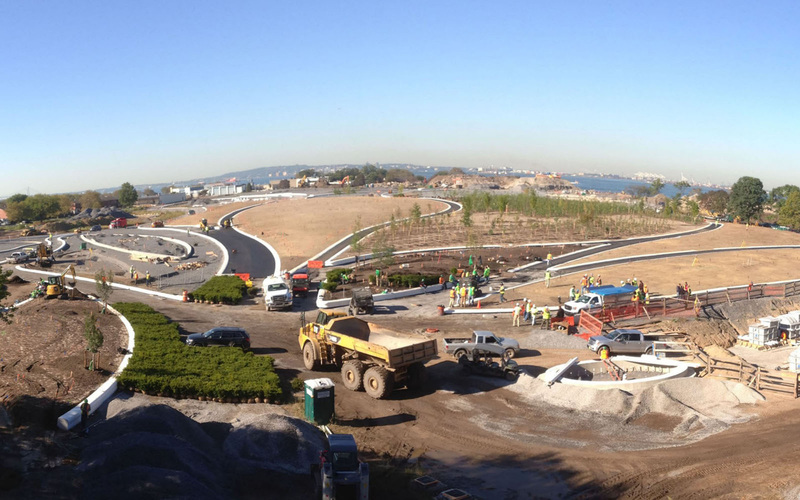 Our in-depth knowledge of all of the natural and man-made systems in the Park Phase 1, proved invaluable input for the second phase -the Hills.